Waterboarding, the CIA originated interrogation technique used on terrorist suspects in the wake of the September 11 attacks on the US is back in the news, however this time it has popped up in a British royal military academy of the highest standing. 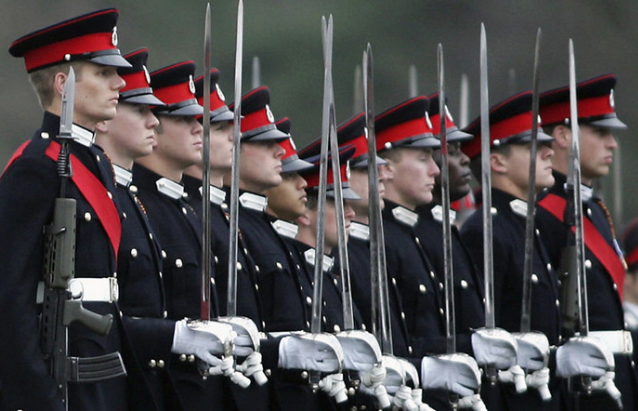 Sandhurst, the royal academy founded in 1947 whose aim is "the national centre of excellence for leadership" was attended by both Prince William and Prince Harry. It is the school where all officers in the British Army are trained, comparable to West Point in the US. It is today the centre of a scandal as military police have admittedly launched an investigation into claims that two officer cadets "waterboarded" a fellow recruit. The probe which was made public today refers to an incident on 7 August and was ordered by Brigadier Bill Wright, commander of the Berkshire military college. "I have ordered an investigation by the Royal Military Police. The Army and I expect the highest standards of behaviour at Sandhurst; anyone found to have fallen short is dealt with robustly, including dismissal, if appropriate." Related coverage: <a href="https://thegoldwater.com/news/34223-Pentagon-Warns-China-Training-For-Bomb-Strikes-on-US-as-Sleeping-Dragon-Roars-to-Life#34257">Pentagon warns China pilots training for strikes on USA</a>. The three cadets involved have been placed on leave and moved into different platoons as the investigation carries on.